Local and provincial officials in China are falsifying economic statistics to disguise the true depth of the economic troubles in the country, according to some prominent corporate executives in China and Western economists. A report in the New York Times cites several examples where information is either not reported, or deliberately altered. Huge mountains of excess coal have accumulated at the country's biggest storage areas because power plants are burning less coal in the face of tumbling electricity demand. Yet local and provincial government officials have forced plant managers not to report to Beijing the full extent of the slowdown, power sector executives are quoted as saying. Electricity production and consumption is widely considered to be a yardstick by which to measure economic activity and strength. They are viewed by foreign investors and even some Chinese officials as the gold standard for measuring what is really happening in the country's economy. It is considered particularly useful as regards China since the gathering and reporting of data in China is not considered as reliable as it is in many countries. But the unreliability of this data will raise fresh concerns for investors, who rely on such information to make important business decisions. Officials in some cities and provinces are also overstating economic output, corporate revenue, corporate profits and tax receipts, it is claimed. The officials do so by urging businesses to keep separate sets of books, showing improving business results and tax payments that do not exist. Until now most were happy to accept official government reports and statistics. In fact before these recent reports concerning tampered electricity consumption, some market analysts were broadly positive about the state of China's economy. Mark Mobius, the executive chairman of Templeton Emerging Markets Group, even cited the reported electricity figures when he expressed skepticism that the Chinese economy had real difficulties. "I don't think the economic activity is that bad - just look at the electricity production," he said. The National Bureau of Statistics, the government agency in Beijing that compiles most of the country's economic statistics, denied that economic data had been overstated. "This is not rooted in evidence," an agency spokeswoman said. But in a country where information is centralised, and no free press to question anomalies, it is difficult to assess the veracity of either claim. Studies by Goldman Sachs and other institutions over the years have strongly suggested that Chinese statisticians smooth out the quarterly growth figures, under reporting growth during boom years and overstating growth during economic downturns. 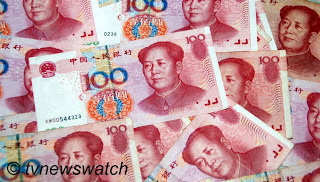 Chinese officials have also raised questions in the past about the reliability of Chinese economic data and statistics. An American diplomatic cable released by WikiLeaks shows that Li Keqiang, widely expected to become premier of China this autumn, said in 2007 that he regarded China's broad measures of economic growth as " 'man-made' and therefore unreliable." The question is whether the actual slowdown is even worse than officially claimed. Skewed government data would help explain why prices for commodities like oil, coal and copper fell heavily this spring even though official Chinese statistics show a more modest deceleration in economic activity. Questions about the quality and accuracy of Chinese economic data are longstanding, but the concerns now being raised are particularly pointed given that this year is the first time since 1989 that a sharp economic slowdown has coincided with the once-a-decade changeover in the country's top leadership. Officials at all levels of government are under pressure to report good economic results to Beijing as they wait for promotions, demotions and transfers to cascade down from Beijing. During the Great Leap Forward during Mao's rule false data was commonly sent to Beijing to gain favour with Mao and to avoid his wrath. While the situation is far less bleak than the dark days of the 1950s which saw mass starvation and economic collapse, it is clear that the culture of appeasing the master by only serving up good news persists. The cost to the economy by falsifying data could be grave indeed, not only for China but the rest of the world which is already at the brink.